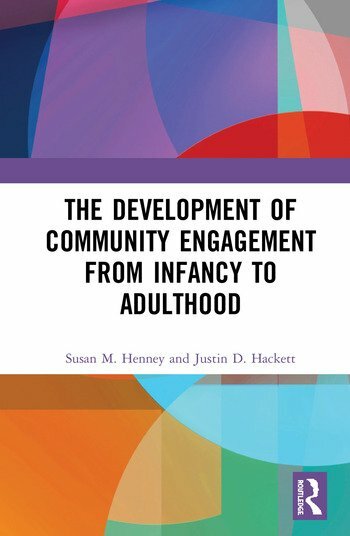 The Development of Community Engagement from Infancy to Adulthood uses a developmental perspective to trace how individuals develop the cognitive, behavioral, emotional, and moral capacity to be actively engaged in their communities. It also provides an analysis of the role of volunteerism and civic engagement in an era of social division, shrinking budgets, and shrinking services. In order to support childhood and adolescent volunteerism, we must understand how children become adults who volunteer a lot, sometimes, or not at all. This book describes the development of volunteerism from theoretical, empirical, and practical viewpoints, starting from the earliest development of empathy, through the social institutions that help shape us, to adolescence and young adulthood. It concludes with an analysis of modern ways to engage young citizens in social action. In doing so it addresses the key question – how can we encourage and support the development of the behaviors, belief systems, and ecologies that will lead to volunteerism and community involvement in our citizens? With fresh and thought-provoking arguments and insights, this book will be of interest to all academics and students working within the fields of social work, social services, volunteer management, applied social psychology, community psychology, service learning, and sociology, as well as non-profit personnel and activists. Susan M. Henney is a research psychologist and developmental psychologist who holds a Ph.D. from the University of Texas. Her research focuses on volunteerism, with particular emphasis on voluntary versus involuntary forms of volunteerism. Dr. Henney is currently a professor of psychology at the University of Houston-Downtown. Justin D. Hackett is an applied social psychologist who holds a Ph.D. from Claremont Graduate University. Dr. Hackett’s program of research focuses on political and social activism, human rights-based issues, and, more broadly, political psychology, group processes, and intergroup relations. Dr. Hackett is an associate professor at California University of Pennsylvania. He resides with his wife and their three sons in Pittsburgh, Pennsylvania.